Quick! Amber! Pose so I can upload a teaser to Facebook! I wanted to do one posed shot before we finished. Amber had already changed and ended up changing BACK into her outfit from the shoot for the photo. She’s the best. Before leaving Amber also gave me one of her Bud Light prints that she uses at promo events. The image is one that I shot earlier this year with her. On the right is a signed print that I had in my books of work. Amber signed it for me to add to my signed photos that I hang on my wall of my own work. After shooting we all went to Rubio’s for lunch. What’s funny is I walked in with two models and the few people that were in there eating lunch all turned to look. Had to get a posed shot together, too. The last part of the card was shooting myself and the background of the card. I went to my cousin’s place and shot there. My aunt and uncle are really supportive of my work and seemed to enjoy watching the setup of everything. 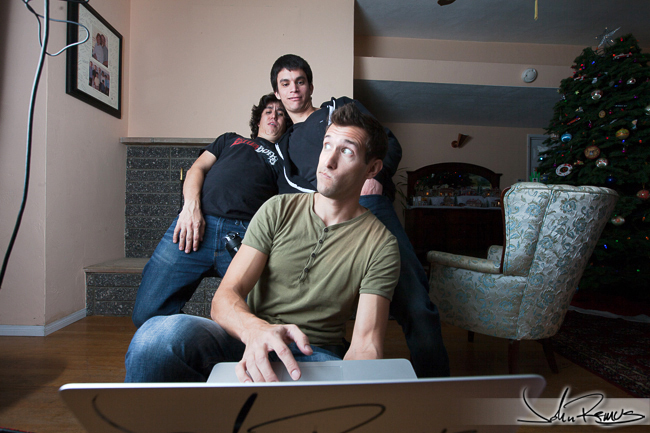 Here’s me with two of my cousins goofing off while I make sure the remotes and strobes are working. 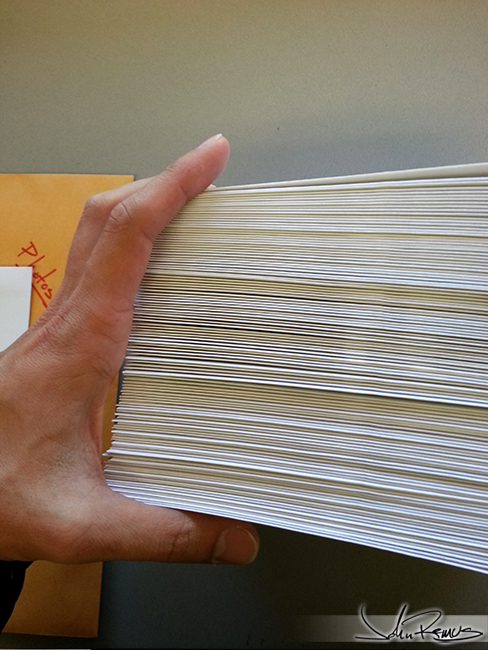 Less than a week later the cards were printed and ready to send out. This was the first set of 100 that I was dropping in the mail for everyone who signed up. would send and hand out another 65 over the following week. This entry was posted in models, personal, recent work, studio work and tagged amber brinton, christmas, christmas card, christmas carol, danielle flahive, future, ghost, john remus, liz sterling, models, past, photoshoot, present, scrooge. Bookmark the permalink.